Sarah Heseltine went behind the scenes at a recent Fairfax Performance Bridle Clinic to witness the bridle in action and get a crash course in science. “We have many reasons to be grateful for a good local tack shop: the patient answers to our unending questions, the inevitable emergencies and the occasional bit of instant retail therapy. 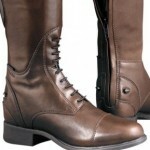 Our local tack shop, Harley Equestrian, based in Northamptonshire is no exception. Harley has always gone the extra mile for the equestrian community – many customers come from far and wide – and the extension of a lifestyle shop and cafe continues to save our bacon when a quick dash for their delicious paninis is needed to keep GPHQ fuelled. 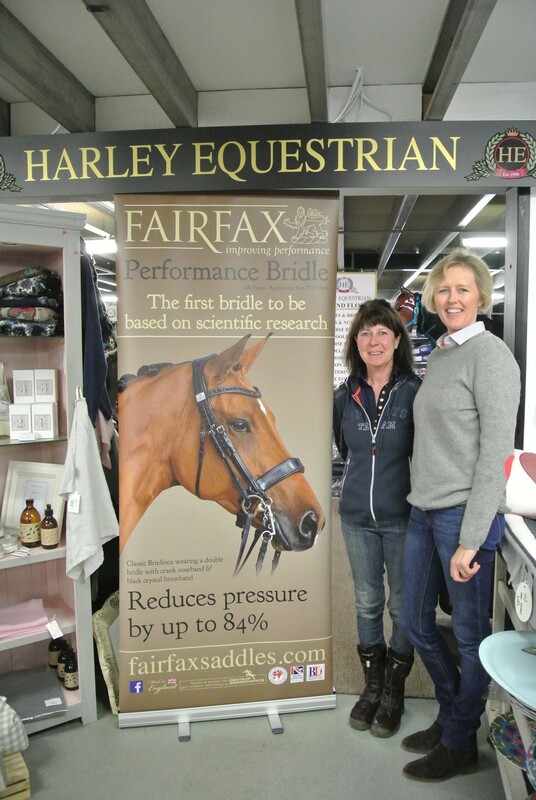 When news of Fairfax Saddle’s new bridle was announced, Tracey Habgood, Harley Manager and Saddle Fitter, invited Vanessa Fairfax to host a talk about the science behind this new pressure-reducing bridle and run trials locally the following day. 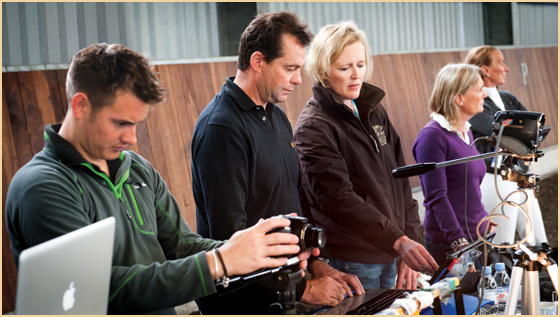 On the back of Equestrian Team GBR’s secret weapon at the London Olympics, the techniques used for the Fairfax girth, which has recently had its patent application granted, have been applied to this fascinating FEI approved new bridle. 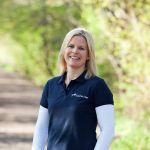 In September 2015, Vanessa had a scientific paper published in The Journal of Equine Veterinary Science, on the findings that she and her team, Dr Rachel Murray, BEF Consultant vet to the World Class Programme and the AHT, Russell Guire from Centaur Biomechanics and Mark Fisher Pliance pressure mapping analyst for the SMS and BEF, had discovered from their extensive research into the effect the bridle has on both pressure and gait extension. Using Pliance pressure mats in key positions, which Vanessa added, cost the same as a small family car, and rein gauges, tests were carried out to see what happened when a horse was in motion under the bridle and head piece, by simultaneously measuring the pressure, gait and rein tension. The location of maximum pressure under the headpiece in a standard bridle was located around the base of the ear overlying various branches of the facial nerve including to the ear. The Pliance pressure mapping technology was originally devised to help doctors measure the pressure in coma patients and has since been developed for use in areas such as podiatry and assessing diabetes. The first pressure mat was placed under the headpiece and the wires were carefully plaited in to the mane, with the wires kept under the saddle. The second mat was placed under the noseband to map the pressure when the horse was in motion – taking readings from a static horse would show no interaction with the rider, which was needed to examine the difference in the left rein and right rein – and the results were sent via Bluetooth back to the computers. This region includes areas of muscle attachment for the flexors of the skull. As the head and neck are important for balance in the horse, increasing freedom to use different muscle patterns to achieve a training position does improve balance and therefore ability to alter gait. So it’s understandable that relief of pressure at this location would allow the horse to move with greater freedom. In percentage terms, the average pressure in the horse’s own bridle was 49.24 kPa with readings in the Fairfax bridle showing 23.93 kPa – that is a 69% pressure reduction. The average maximum force readings, measured in Newtons, equated to 258.49 Newtons in their own bridle to 161.86 Newtons in the Farifax – that is a 46% reduction. Describing the design of the new bridle, Vanessa explained how the lozenge shape of the Fairfax girth had been adapted for the top of the poll, which gives greater stability to the bridle, whilst the noseband shape is designed to allow it to move in harmony with the motion of the horse’s head. Vanessa’s knowledge was plain for all to see, some of it seemed so obvious when she explained how seemingly small things can have such an effect on a horse’s way of going in terms of comfort and tension. Ladies, think about how uncomfortable it is to have your pony tail hair band too high under your riding hat – it digs in. Fitting a bridle number on one side for a competition is not how most train at home – everything on a bridle works in symmetry left to right and what we do at home, is how we should ride at competitions so don’t save your best patent bling bridle just for competition days! 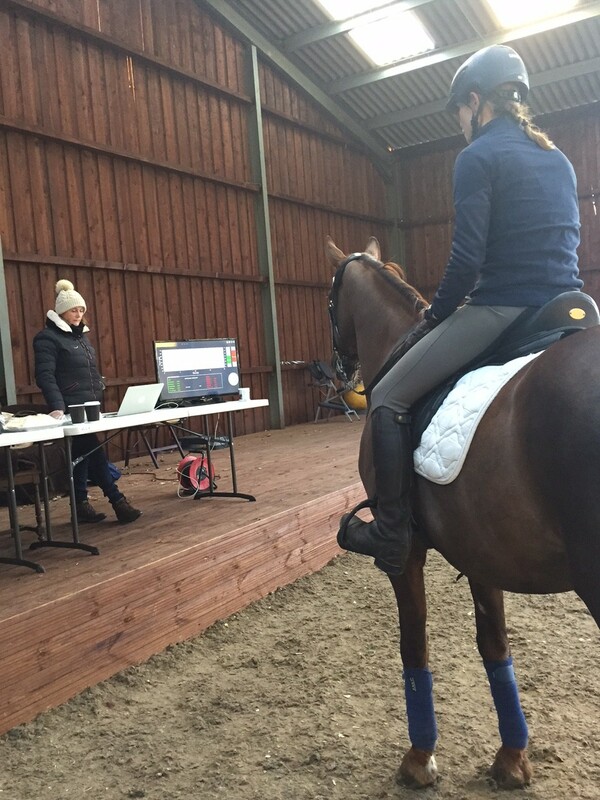 During the research, it was important to look at the effect of each different part of the bridle and they discovered that the noseband produced the highest pressure readings. Cavesson flash nosebands produced the most amount of pressure and the least with a Mexican grackle and this is because the grackle is articulated, in laymans terms, it allows movement. 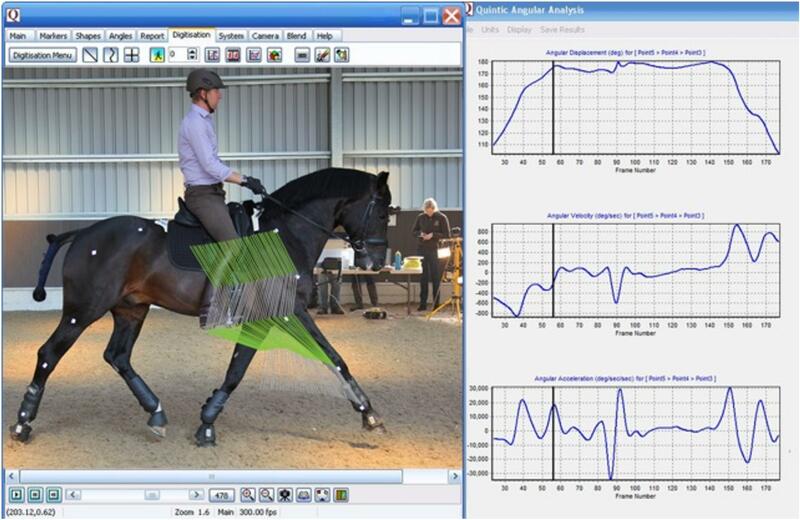 Their intensive scientific approach to the design moved on to look at how a bridle can affect hock flexion and using a camera 25 times faster than a human eye, horses were filmed simultaneously on both sides on the left and right rein in order to measure the angle of the flexion. Looking at the angle from the knee flexion (carpal) an improvement of 4 degrees was found when wearing the Fairfax, giving an instant effect via a visible softer outline. 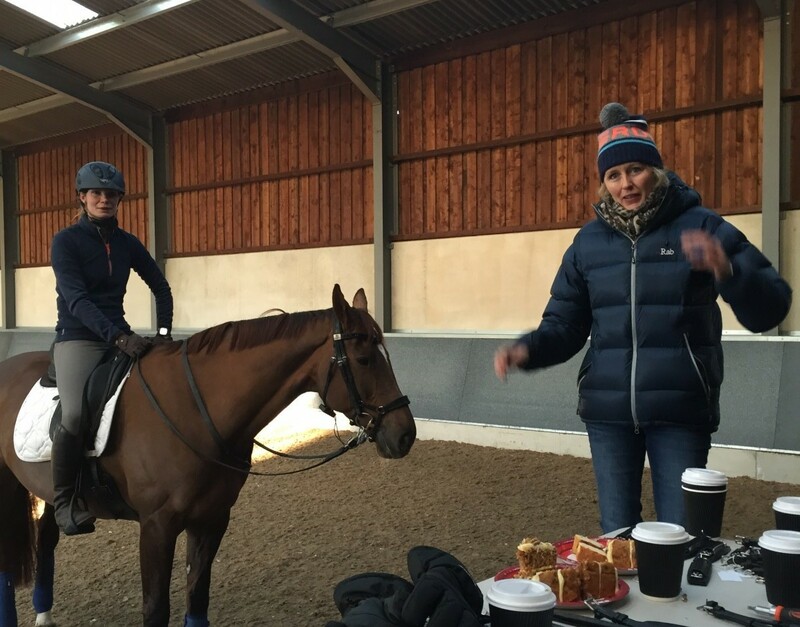 When Vanessa tested Gareth Hughes’s ride Samba Hit III in both his own bridle with a regular flash noseband, and the Fairfax drop noseband, she discovered an 8 degree improvement in knee flexion. Pressure was significantly increased when a fly bonnet was added under the bridle. On removal of the fly bonnet, a 6 degree improvement in the angle of knee flexion was seen and Vanessa encourages everyone to leave ears exposed as horses need them for expression. In the Fairfax, with no bonnet, the pressure readings showed an 84% reduction. 1. Try riding with and without a flash and see if you can get someone to film you from either side. 2. Avoid asymmetry around the head such as bridle number – fit them on your saddle cloth. 4. Ensure your bridle fits correctly. The most common mistake is cheek pieces that are too high. 5. The horse’s anatomy can cause pressure – a bit like us grinding our teeth, horses create pressure around the temple when they swallow and the Fairfax bridle has special support to ease this. 6. Avoid any additional padding with your tack: do you really need that gorgeous sheep skin extra layer under the saddle? 7. Never lunge with a lunge line over the poll – as the lunge line acts like a vice around the horse’s head creating immense pressure and pulling the bit hard against the lips. 8. Only use a competition fly bonnet as a last resort – it is not a fashion statement and can greatly affect the fit of your bridle and you may need to drop your bit a hole if you have to use one. 9. Think about what you are putting on your horse and this doesn’t just apply to top competition horses. The simpler the noseband, generally the better performance you will get. The following day we headed to Babington Dressage in Williamscot, owned by George Martin, to see the bridle in action with riders at different levels and from different disciplines. Once warmed up, readings were first taken with their own bridles by fitting rein gauges and riders were asked to trot up the centre line on both reins. 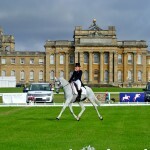 Amber Franklin, Warwickshire, in her first year of Young Riders tried it with 2 horses. 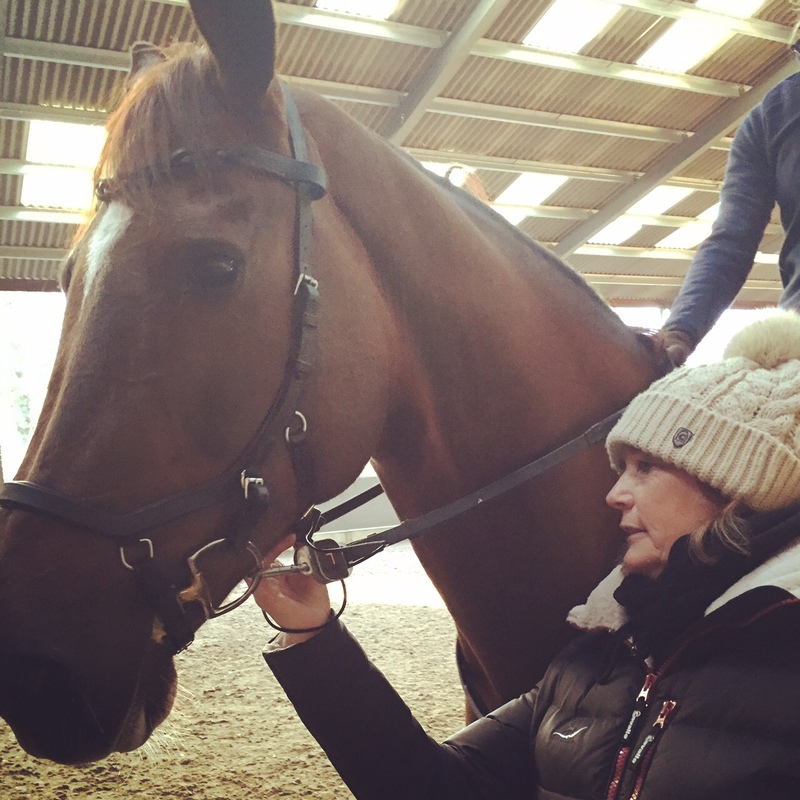 Amber, who trains with Gareth felt her horse, Goldie, was noticeably more secure in the rein and Barry, who Amber had competed at pony trials and Juniors, remained completely consistent. Next up was Ellie Cooper, 18, from Northamptonshire, who trains with George at Babington, riding her new 18h Warmblood, Ocean. 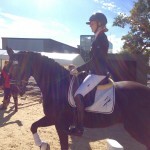 Ellie and Ocean are a relatively new partnership and Ellie is aiming for Young Riders, currently competing at Medium dressage. The techy surroundings with a computer desk and screens were terrifying for the hot handsome giant, however, once settled the effect was plain to see. 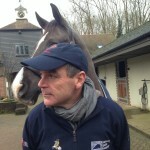 “When Ocean first came into the arena he was very hot off the leg, he seemed very agitated and was curling. Ocean can sometimes lose confidence in the contact and can really drop off my leg, which he was doing in his normal bridle. When he loses confidence, or isn’t settled he responds by becoming hotter and then becomes very spooky. Once Vanessa fitted the Fairfax bridle I suspected that Ocean would be very agitated at being brought out a second time, however he came out and started to push into the bridle and stopped dropping the contact. He became more relaxed and to those viewing his expression was a lot happier and softer, whilst to me he stopped curling and started coming onto the vertical. I found his change very dramatic and incredibly positive in just one session. To me I personally feel that it is as important to get a properly fitted bridle as it is to get a properly fitted saddle. There was only time for us to see one more trial. The day had back to back trials and we were already late for another appointment but there was something about watching science unfold right before your eyes, and seeing the effect it was having, that made me wish I had concentrated more in physics at school. I was soon reading the fluctuating bars on the monitor thanks to Di Fisher’s jargon-free explanation of what we were seeing as we huddled around the monitors as the green and red graphs rose and fell. Copious amounts of tea and cake were consumed due to the icy temperatures and there was a slight drama when the Victoria Sponge froze! 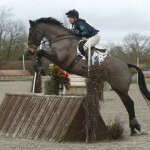 Next up was three day eventer Jodie Seddon with her gorgeous mare, Gin. 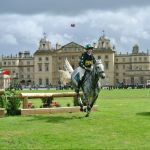 Jodie trains with Ian Wills and as the rein gauges were fitted to her Micklem bridle, Jodie told us about Gin who, with a showjumping background, moved quickly through the levels eventing from Intro in July 2012, to top 10 in her first Intermediate in July 2013. 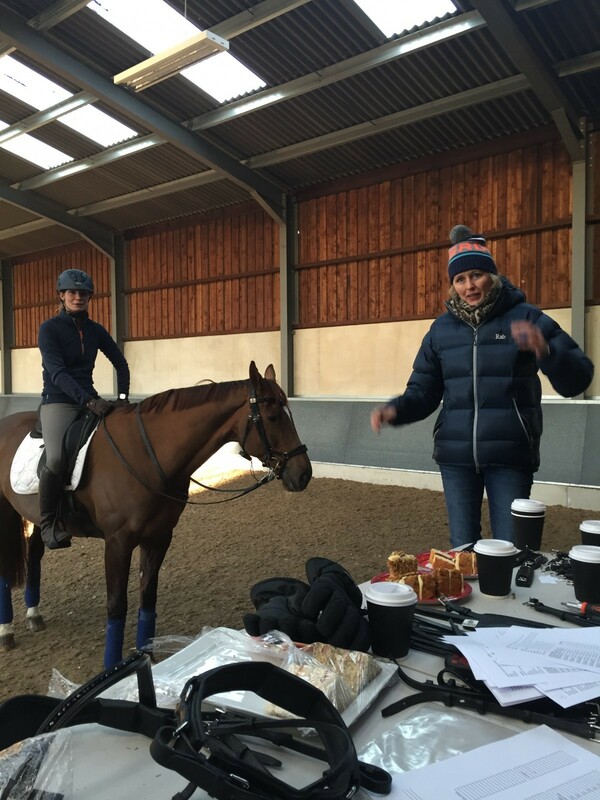 With 2* experience in 2013 and 2014, and following some time off due to injury, Jodie is now working to maximise the partnerships’ potential with some improved dressage marks in 2016. What was really interesting about Jodie’s readings was that in the Micklem, a reading could not, at first, be seen on the left rein. Mild panic set in with recalibrations and testing conducted as concerns over whether the temperature could be affecting things. It transpired that the force reading was just high – very high – however, when the number crunching was complete the force in the left rein was reduced by whopping 26.6 Newtons and the force in right rein was reduced by an equally amazing 26.1 Newtons! These readings produced the biggest changes of the day. However, there was a further reduction in pressure on the left rein when, exclusively for The Gaitpost, Vanessa tried Gin with their new Mexican grackle noseband, favoured by many eventers. Another 0.3 was shaved off the pressure reading. Discussing the findings, Jodie, whose deep knowledge and thorough understanding of everything that concerned Gin in terms of the mare’s conformation and temperament was very inspiring, spoke of the changes she had felt..
Quickly packing a Fairfax bridle into her lorry to take home, Jodie has since reported that it has worked well with other horses which struggle with consistency in the contact, both on the flat and jumping. Speaking to Vanessa at the end of the session, it was clear that the day had produced results consistent with those in the original trials. 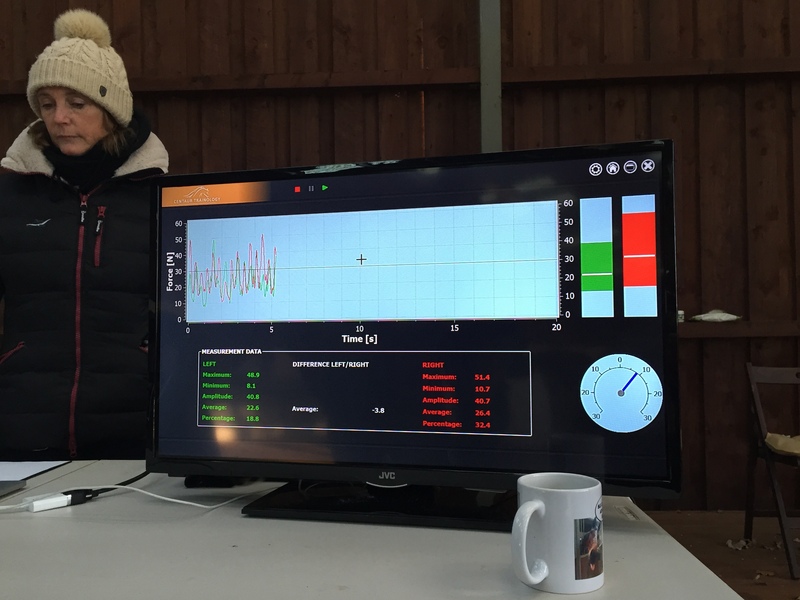 Each horse’s findings was fascinating and throughout the day the small group of onlookers crowding around the screen had slowly grown as we all were suddenly experts in measuring Newtons and commenting on the visible changes taking place. The excitement concerning extra marks in dressage tests was quite addictive and we tore ourselves away before the next trial started. 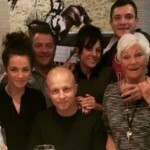 One has to wonder where Vanessa goes next. She hinted at lunge cavessons, and expressed her concerns over 5 point breastplates believing a correctly girthed and fitted saddle should stay in position without the need for one. We came home, stood in the tack room, looked at the flashes, the breastplate, it all made sense, more thought IS needed on what we are putting on our horses and that’s the science talking. 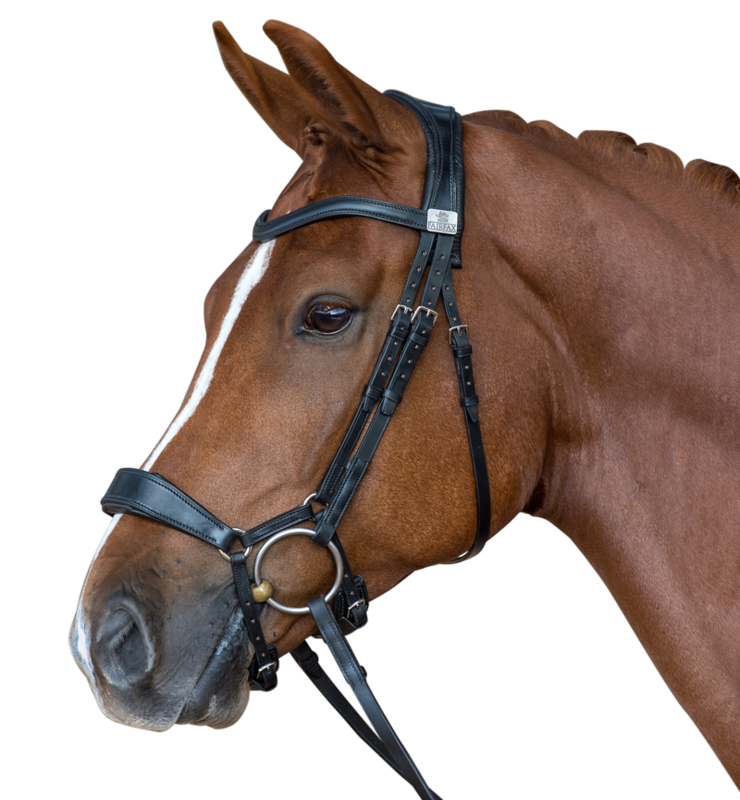 Prices for the Fairfax Performance Bridle start at £400 without reins and need to be fitted and ridden in so that you can try before you buy. 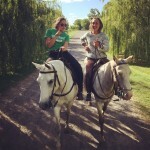 5 mistakes equestrian job seekers make and how to avoid them!